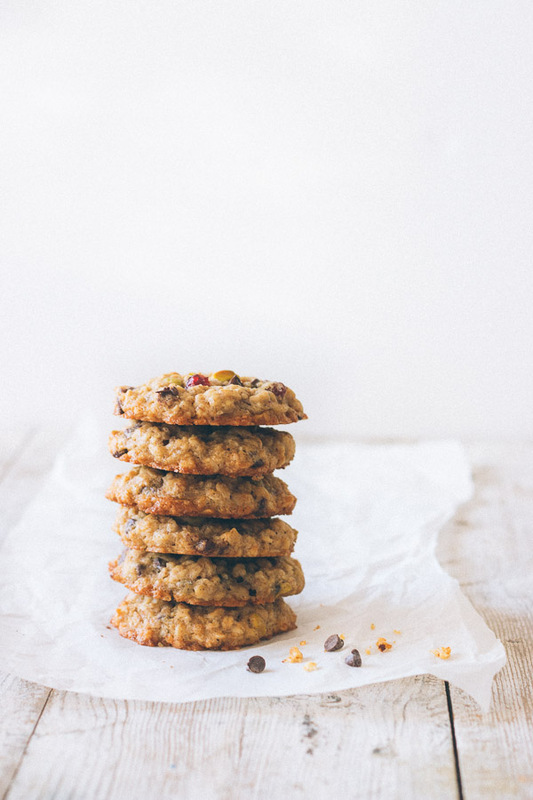 Chewy Oatmeal Cookies Recipe | Pretty. Simple. Sweet. 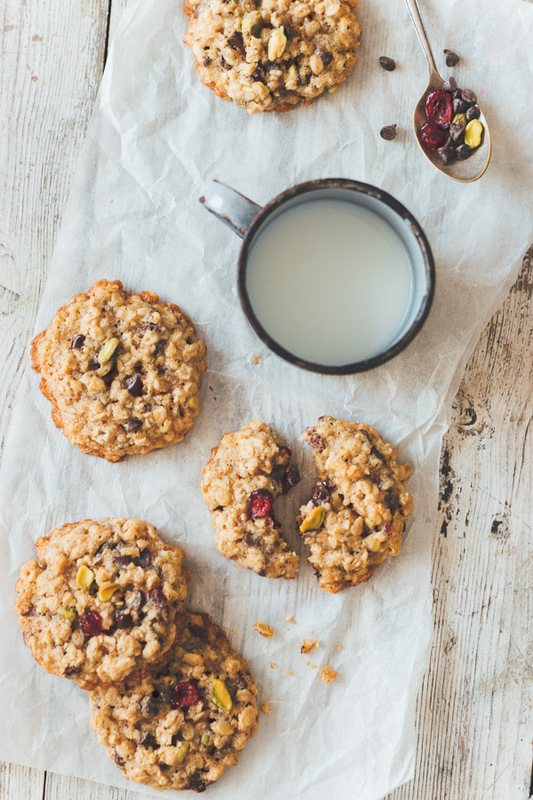 These chewy and flavorful oatmeal cookies are perfect for breakfast or as a snack. Pack them with your favorite ingredients: chocolate chips, nuts, or dried fruits. Happy New Year guys! 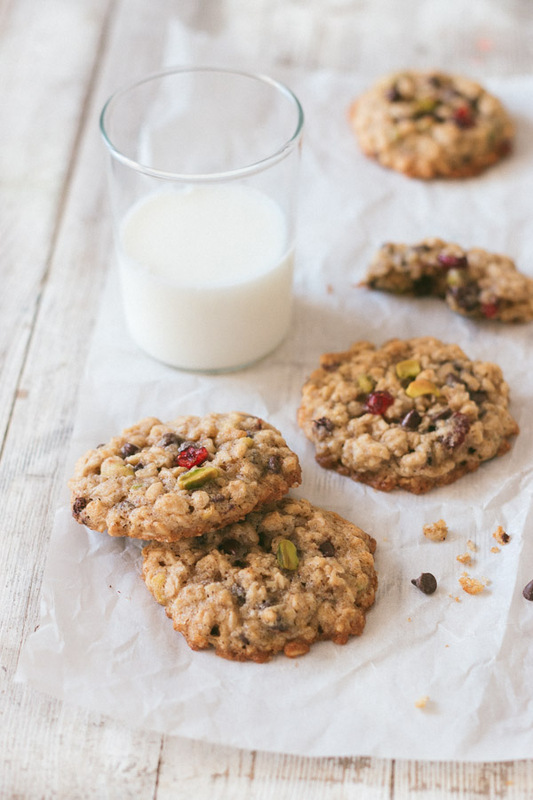 If there’s one thing I wish for you this year, it’s that you’ll be blessed with some of these amazing oatmeal cookies, or maybe these chocolate chip cookies. If you lived near me, I would be happy to give you some, because (1) I’m generous, and (2) I made like 60 cookies because I got too excited about this new year. I’m always surprised to learn just how many people prefer their chocolate chip cookies with oatmeal. If you’re one of these people, then I’ve prepared these cookies just for you. 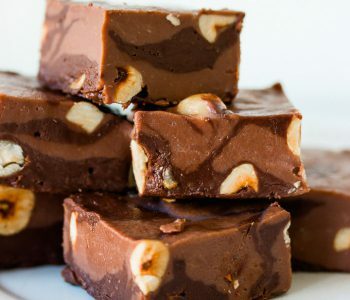 They make a great base for anything you might want to add, not just chocolate chips. Even when I mistakenly over bake them, they still turn out chewy. They bake thick and beautiful, and they are super flavorful. For add-ins, I recommend chocolate chips or chunks, toasted nuts, dried fruits, or a combination of them. Don’t use quick or instant oats. Old-fashioned oats have the best flavor and will produce the best texture. 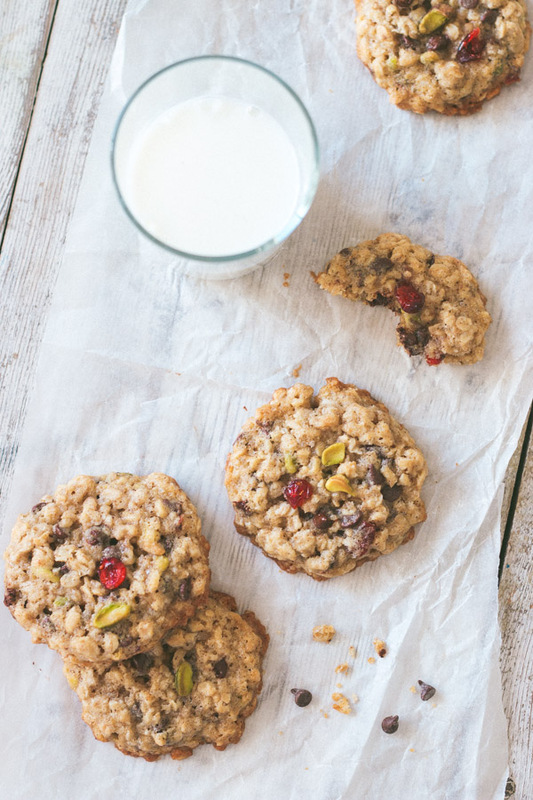 Quick oats make less chewy cookies, and instant oats make them dense and much less flavorful. 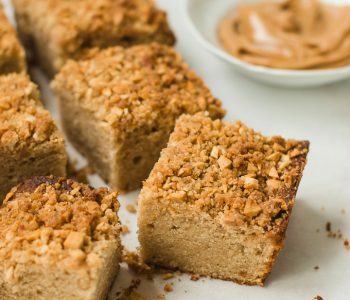 I use more brown sugar than granulated sugar for this recipe. 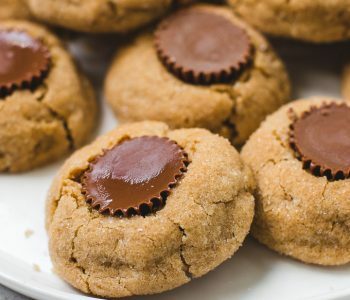 This gives the cookies a slight caramel flavor and makes them super moist and chewy. 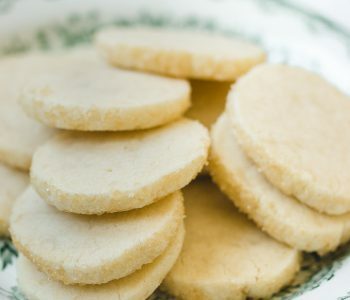 If you want the cookies to have more crispiness and don’t mind them being sweeter, you can add a few more tablespoons of granulated sugar, making sure not to reduce the amount of brown sugar or else the cookies will lose their chewiness. 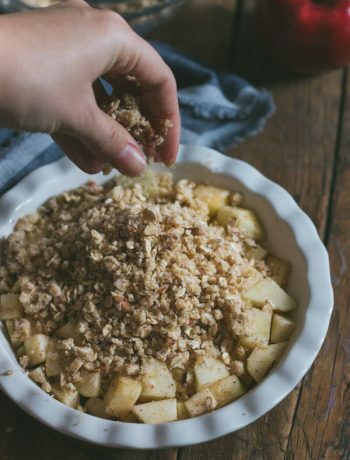 While cinnamon is a classic addition to oatmeal cookies, you can add your favorite spice (about 1/4 teaspoon). Ground ginger or cardamom work very well here. If you don’t want to use spices, make sure to at least use either the cinnamon or nutmeg for some flavor. In a large bowl, sift together flour, baking soda, cinnamon, nutmeg, and salt. Set aside. In a standing mixer fitted with the paddle attachment, beat butter and sugars for 2-3 minutes, until fluffy. Beat in the egg until combined, then beat in vanilla extract. Add flour mixture and beat on low speed just until combined. Don’t over mix. Add in oatmeal and all other add-ins, and keep mixing on low just until combined. The less you mix, the softer the cookies will be. Dough will be sticky and soft at this point, so I highly recommend chilling it for at least 30-60 minutes. Cover and place in the fridge. Preheat oven to 350°F/180°C. Line pan with parchment paper and set aside. Drop rounded balls of dough onto prepared baking sheet, the size of 2 tablespoons each, and spacing 2 inches apart. Bake for 10-12 minutes, until cookies just begin to brown at the edges and center is still soft. Cookies will appear undone and moist in the center, but will continue to bake on the warm baking sheet. Leave to cool for 10 minutes, then transfer to a wire rack to cool completely. Store cookies in an airtight container at room temperature for up to 4 days, or freeze for up to 2 months. To thaw, leave on counter, still covered, or overnight in the fridge. - To toast nuts: Place nuts on a baking sheet and bake for 8-10 minutes in a preheated 350F/180C oven, or until lightly browned and fragrant. Allow to cool, then chop into pieces. 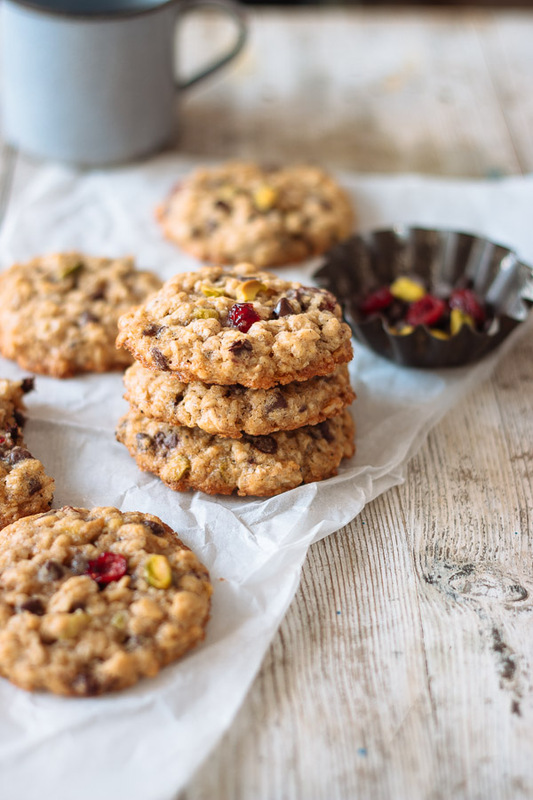 - For add-ins: A great combination of add-ins is chocolate chips, toasted nuts (pecans, walnuts, pistachios, hazelnuts), and dried fruit (raisins, dried cranberries, dried cherries). Pecans and raisins are great together, as are pistachios and cranberries and dried cherries and chocolate chips. If you only add one kind of add-in, use 1.5 cups instead of 2. מאדדדדדדדדדדד אוהבת עוגיות כאלה. 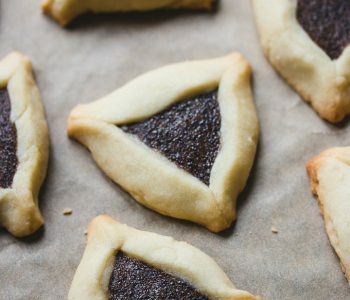 שוב – במיוחד שיש בהן שיבולת שועל! יכולה לזלול אותן כל היום! Oatmeal cookies are my favourite. I baked some from Bouchon Bakery a while ago and they were very delicious too. I am saving this for my next batch. They look awesome! I love everything from Bouchon Bakery, and love the book too! 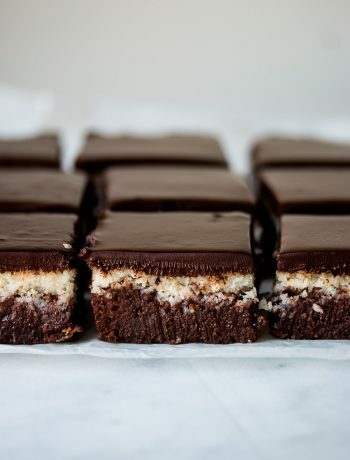 I just made these exactly to your recipe and they are perfect! 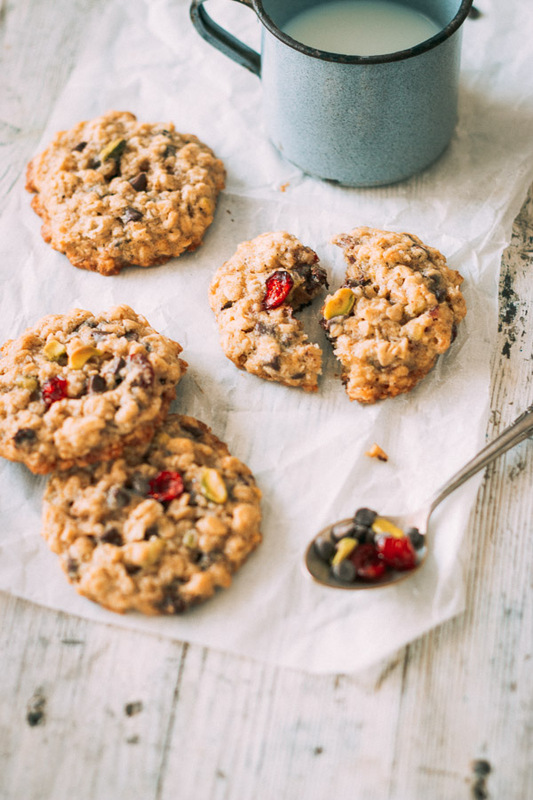 Sweet, salty, chewy and a little different than the usual oatmeal cookie. Thank you! Thank you so much Kelsey! 🙂 I’m so glad you like them! Do i have to use eggs? Hi Claudia, yes, eggs are necessary for this recipe both for taste and texture. That’s great to hear Celia, thank you! US butter is sold in packages that are divided into “sticks”, and one stick equals 4 ounces. Enjoy your cookies! 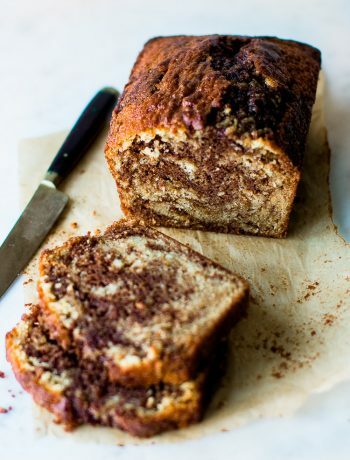 How Can I add banana to the recipe? Banana will change the texture and flavor of the cookies, so I suggest using another recipe that uses it. 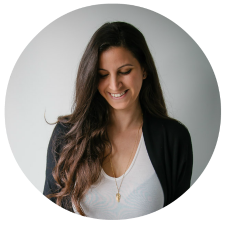 Hi Shiran. I have a question..I tried this recipe but the batter turned out quite sticky and runny. I chilled it for few hours before baking it, but the dough spreads wide, leaving the cookies become really thin. What could be the issue? It shouldn’t be runny, and the longer you chill it, the less it spreads. Make sure that the butter is at room temperature, and not melted. If still runny, you can add more flour. Hi Shiran, can I use quick oats instead of old-fashioned oats? Hi Ronda, old-fashioned oats have the best flavor and will produce the best texture. It’s possible to use quick oats (but not instant), just know that the cookies will be less chewy. These are really great. I followed Alton Brown’s advice and used strong bread flour vs all-purpose and used 120g brown sugar and no white. And baked on convection. I don’t have a hand-mixer so I creamed my butter with a fork. Besides the changes, I’m a big fan!! Chewy with a nicely crisp, buttery exterior. The nutmeg is stellar. Thank you very nice recipe. Just made the cookies turned out Great! How do I figure out the measurements for 100 cookies? I’m going to make these for a cookie exchange but your recipe is only for 20-24 cookies. Thanks! Hi Melissa, you can just multiply the amount of ingredients depending on on many cookies you want. I made these tonight for a soon-to-be-mom and they taste amazing! I love the amount of clove! Mine turned out very thin and gooey, crisp on the edges, looking like oatmeal lacies. I had chilled the dough for 45 min in the fridge beforehand and followed the recipe to a T. Is there someway I can counteract this with some substitutions or instructions? Made these, no cinnamon, half cup walnuts, half cup raisins, half cup dried cranberries. Let dough chill half hour. OMG. Best cookies I have ever made!!! Cooked 12 minutes. Crispy edges, softer center. It’s hard to make myself stop eating them! I found these turned out poorly – too gummy. Kinda regretting making a double batch before I had tested the recipe. I used tart dried cherries and subbed in some honey and turbinado sugar, mixed everything by hand w a spoon. I used dried cherries and semi sweet chocolate chips…they’re amazing. Thank you for sharing.